If you want to buy a diamond ring and not get ripped off, buy from a popular and trusted jeweler or online store. Make sure they offer GIA certified diamonds and have at least a 30 day return policy. Also, diamonds now have a Laser Inscription inside the diamond. This number should match the number on the GIA certificate. 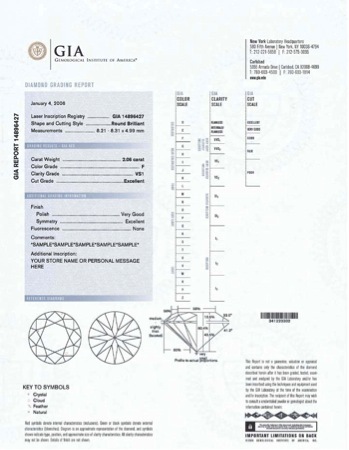 This is another way to insure you are getting a quality diamond engagement ring. If they don’t offer these options, be careful and ask questions. Every respected jeweler or online store value customer’s satisfaction and provides high-quality rings. For buying loose diamonds and high-quality platinum rings, rose gold rings, yellow gold, and white gold rings, get in touch with Diamond Hedge. The world’s first diamond company using Augmented Reality Technology to allow consumers to compare over 1 million diamonds in one place.